Airborne gamma-ray measurements are rather costly, and involve non-portable equipment, large platforms (often helicopters are used) and specialized operators. Reduction of cost and simplification of operation has been an important force, driving innovations towards smaller systems and smarter data analysis. The promise of using a small aircraft flown by local pilots resulting in flexible surveys flown at low cost of operation appears to be very appealing to many stakeholders in the exploration industry. Medusa Sensing understands this need and developed gamma-ray spectrometers that are simple to use and light-weight. Our products are suited to your needs and. In our vision, the sensor should follow be adapted to the platform. By focusing on the platform, our clients have the opportunity to use smaller and light-weight airplanes, thereby reducing costs and increasing flexibility. In one of our earlier Uranium mapping projects in Madagascar, we showed how using different detector material (CsI instead of NaI) and Full spectrum analysis of the gamma data gives excellent results. Comparison of data obtained at a location measuring about 14×40 km2 shows that – especially for 238U– the Medusa Sensing 4 liter Gamma-ray spectrometer merely outperforms a standard 8×4 liter NaI system. In the Uranium prospecting area under study, the 4 liter MASS system performs at least equally well as an 8×4 liter traditional system. 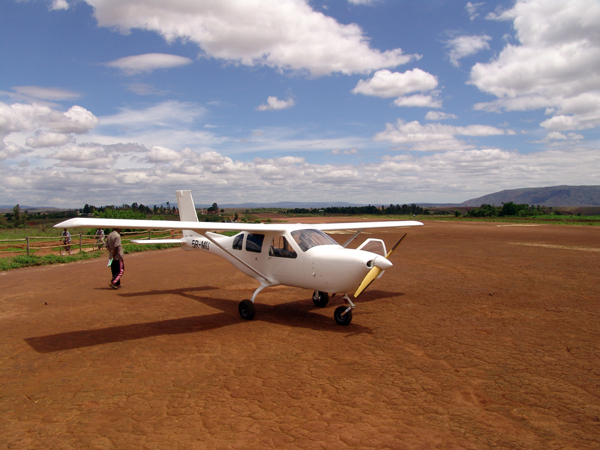 Light-weight plane with gamma ray sensor in Madagascar. Cients have the opportunity to use smaller and light-weight airplanes, thereby reducing costs and increasing flexibility.